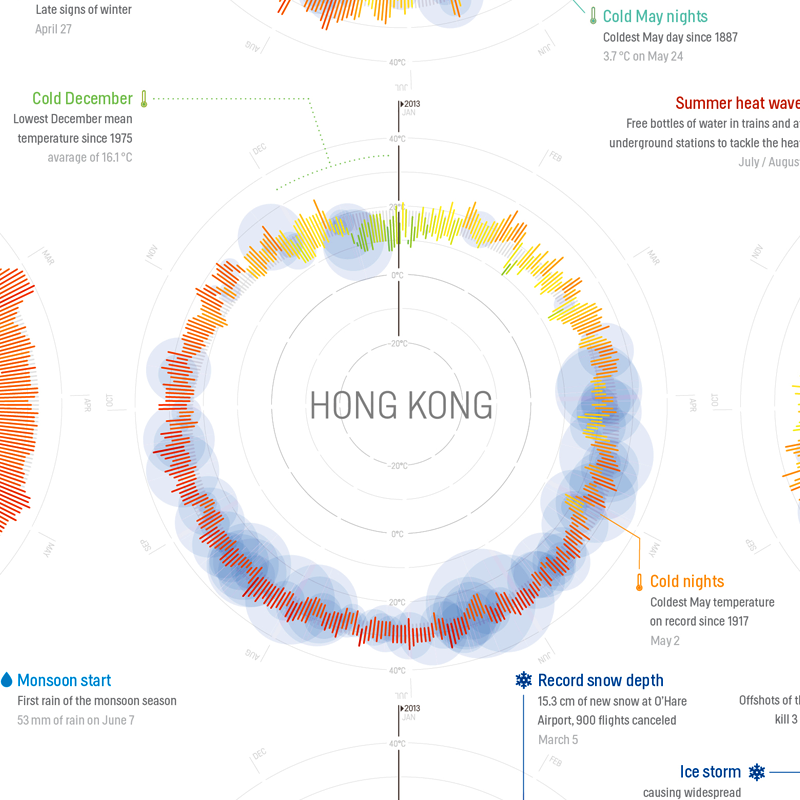 This is the second post of a series of four posts dedicated to works competing for the Information is Beautiful awards of 2014. In case you missed it, here’s my first selection. 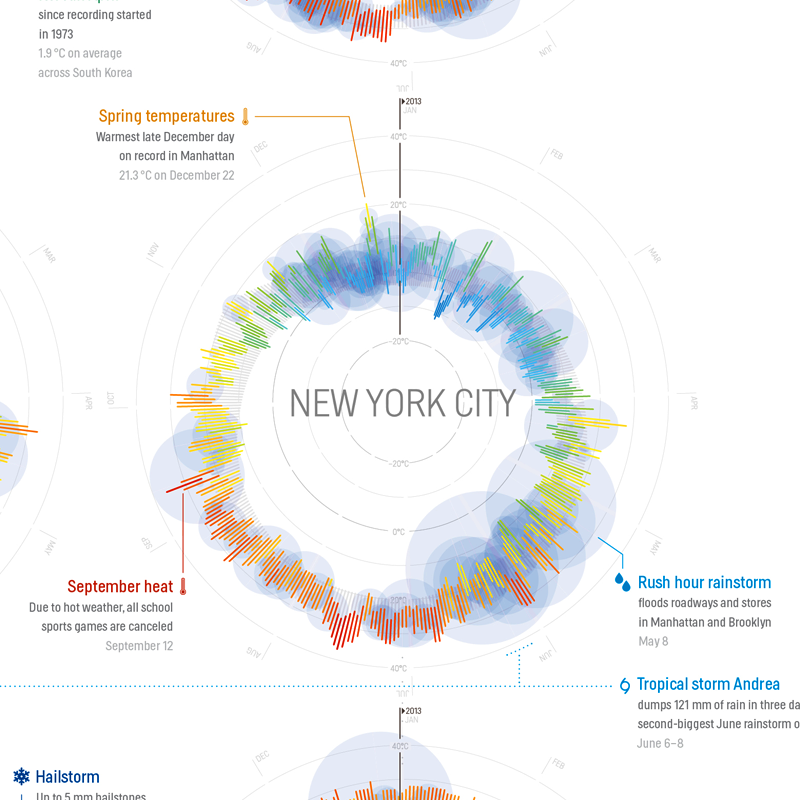 Specifically, this post is dedicated to science and technology works presented under the category of Data Visualization. From the projects listed below, I highlight the “Visualize Pi” mural because it is the only one on this list that has a strong purpose of engaging the students’ community to use data visualization in an innovative way. The “Green Nudge” resulted of a collaboration between WizArts and the University of Copenhagen. The goal was to stimulate a reduction of energy consumption, and WizArts do it using gamification with a social element as a dataviz solution. This project is particularly interesting because “it is not a question about the viability of visualization in regards to a more energy-conscious behavior; it is a question about how the visualization will be manifested”. This is a visual representation of things that cure or cause cancer, according to the articles of the Daily Mail. It was produced using a crowd sourced index of news articles of the mentioned newspaper to obtain the data. It is interesting to notice how some items are said to both cure and cause cancer, such as wine or the contraceptive pill. I find this a very clear way of presenting results of content analysis of documents such as newspaper articles. “Visualize Pi noise” is a mural project that engages students to connect with both math and the local community by means of data visualization. Specifically, students work with the professionals Ellie Balk and Nathan Affield to explore the sound and visual representation of Pi. This is a kickstarter project that managed to be funded last april. It’s worth taking a look at it here. 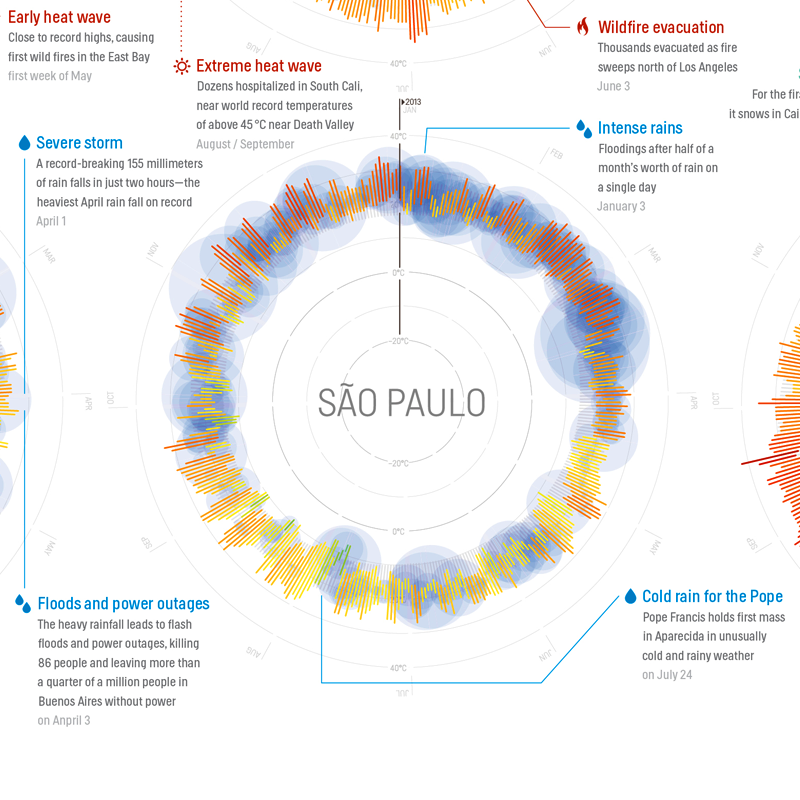 This is another onlab project submitted to the competition “Information is Beautiful” awards 2014. It was developed for the science magazine of the Federal Institute of Technology in Lausanne and has the goal of rising awareness for the numerous satellites that are currently orbiting earth and make clear that there is a need do start cleaning space debris, which is the goal of the future satellite of the Federal Institute of Technology in Lausanne, to be launched in 2018. 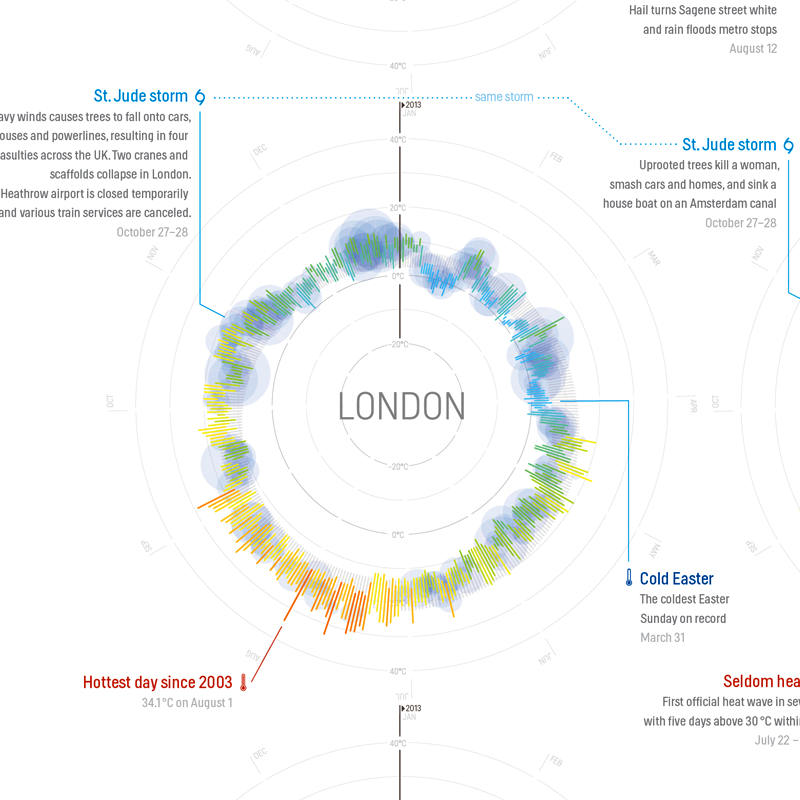 This is a data visualization project made by two team members of Ask Média agency. It shows the distribution of the 10,568,679 items on Wikipedia, sorted by type, as it is described in the picture above.